After four years in Nashville, Amy Rigby needed a new guitar. The strings were constantly breaking on the Guild guitar that she had been using for 10 years. She scoured the city, strumming, it seemed, every guitar in every music store in town before settling on a Gibson J-45. With her new guitar, and ensconced in the Country Music Capital of the World, did Rigby write a “he done me wrong song” with a train’s lonesome whistle and an empty whisky bottle in the lyrics? Did she write a song about honky tonks, gossipin’ neighbors, and the good folks who go to church every Sunday? That, too, would be a no. “I connect the two things, the song and that guitar,” Rigby said. 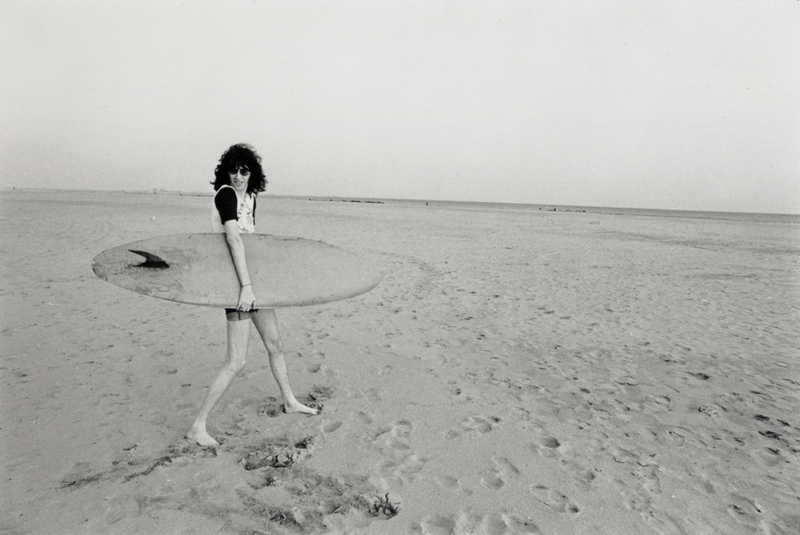 The song is a love letter to Joey and all things Ramones, as well as a paean to New York City, where Rigby came of age after immersing herself in the city’s underground art and music scenes, and the place where she found her calling as a musician. Rigby grew up in the suburbs of Pittsburgh, listening obsessively to pop music on AM radio in the ‘60s and classic rock on FM stations in the ‘70s. She left her hometown before her senior year of high school to study fashion illustration at the Parsons School of Design in New York. Before leaving, she had a hint of the music that was to become her passion. “I had an older brother and he got Creem magazine so I saw a little bit of stuff in Creem that was going on. ‘Oh, there’s a group called the Ramones, there’s Patti Smith, there’s Iggy Pop.’ I didn’t know what any of these people sounded like. It was not possible. They didn’t have records out so you couldn’t really know,” she said. “I was going to New York to go to art school but I did hope that I would get to go to CBGBs. Rigby was a typically broke college student, but that didn’t stop her from regularly heading out to CBGBs to hear bands never to be heard from again and the ones that form the pantheon of New York’s punk and new wave scene. Blondie. Television. Patti Smith. Suicide. Richard Hell & the Voidoids. 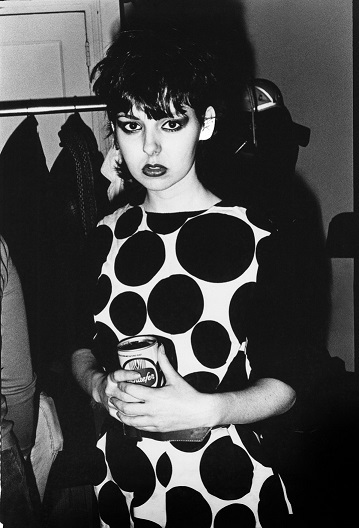 She also saw a who’s who of British bands including X-Ray Spex, the Jam, Madness, Bauhaus, and Wire. And the Ramones, of course, countless times. Rigby was right there in the beating heart of the city’s punk and new wave scenes. With a brother who followed her to Parsons and some friends, they started a floating dance club, Stinky’s, that found a home at Tier 3, a failing downtown lunch spot. The club booked bands like Lydia Lunch’s 8 Eyed Spy, the Lounge Lizards, James Chance, the Slits, the dBs and, crucially, The Raincoats. Rigby went to England for graduate school, where she lived in a squat passed on to her by Gina Birch of The Raincoats, who had been given the place by Viv Albertine of the Slits. She rented a room from Jerry Teel, who went on to form the band The Honeymoon Killers, and who had a Southern aesthetic new to Rigby. “He had all these old country records and I was attracted to the covers at first. Pictures of Loretta Lynn and Skeeter Davis, these women with massive, big hair-dos and cool-looking homespun clothes, but with guitars. The covers attracted me, and I started listening to the records, and the songs really attracted me. “Hip hop was going on all around us, too. It wasn’t something I could contribute to. That was someone else’s culture,” Rigby said. “The whole country thing was accessible. She, her brother, and friends began writing and playing songs. Rigby’s first band, the Last Roundup, emerged from those sessions. It was in the Last Roundup that Rigby learned to write songs, play guitar, and perform in public. That is, she became a musician. “I didn’t have the inspiration for art that I had for music. Songs popped into my head everywhere. I filled cassette after cassette. I never ran out of ideas,” Rigby said. The Last Roundup had a five-year run with multiple personnel changes, recorded one album in Nashville that was never released, and another, Twister!, released on Rounder in 1987. 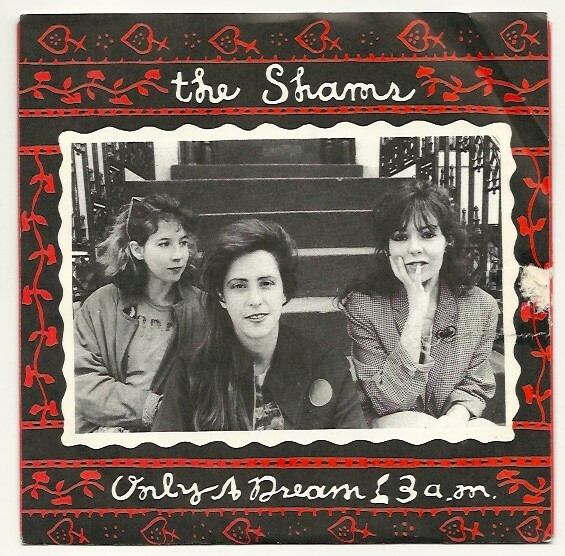 Rigby’s next band was the Shams. She had her only encounter with Joey Ramone, a brief hello kind of thing, when one day he was at the rehearsal studio in Brooklyn where the Shams practiced. It was during her time in The Shams, Rigby had her baby, Hazel. And that changed everything for Rigby. Her first solo album, Diary of a Mod Housewife, was the artistic achievement she was striving for. In the Village Voice, Robert Christgau called it “concept album of the year,” and Spin voted Rigby 1996 Songwriter of the Year. It was her 2005 solo album, Little Fugitive, her fifth, that had Dancing With Joey Ramone. At the beginning of the song, when Joey Ramone tells Rigby to shut her mouth when the band was playing “Papa Was A Rolling Stone” it’s because music is serious business. He was saying she should be listening and paying attention. And when she reached for his hand, it was the same thing. This was no time for romance, which is why he brushes her off. “He’s almost like a saint, he’s like a spiritual leader in the song. It’s not like a romantic kind of thing. More of, I’m going to show you the way kind of thing. That’s what it feels like,” Rigby said. The bridge consists of songs she imagined the Ramones would have heard growing up, a couple of songs that she made up because they felt right and fit, and a few that are as much about Rigby as they are the Ramones. Kaye became a fan, friend, and supporter of Rigby’s and produced the Shams’ album. Rigby is certain that Joey Ramone heard the song on the station as he was growing up. 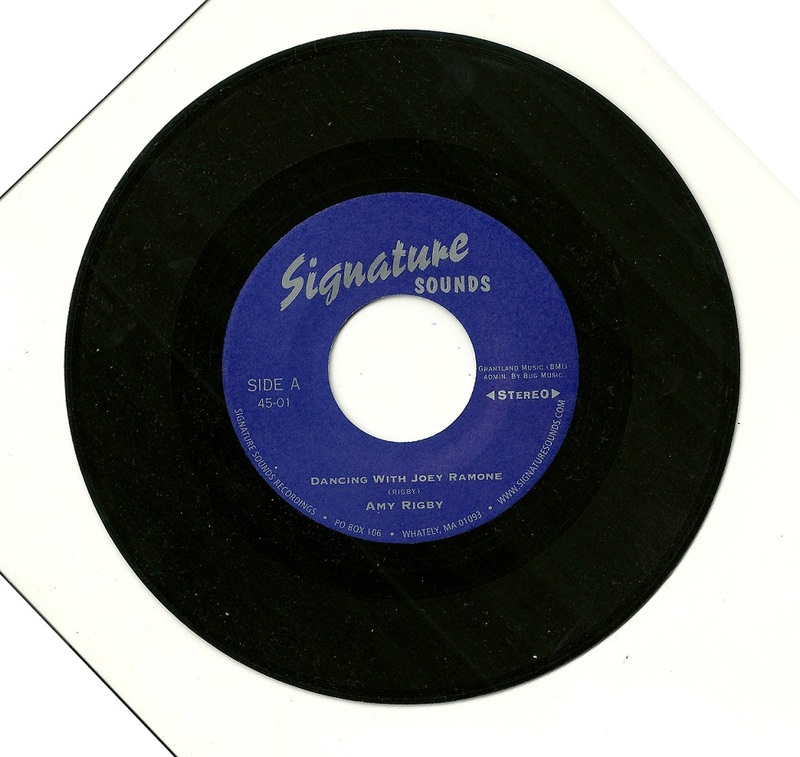 Ronnie Spector recorded Rigby’s song, “All I Want,” on her The Last of the Rock Stars album. And Joey Ramone co-produced Spector’s EP, She Talks to Rainbows. “Be My Baby” was an easy addition to the song’s playlist. “I woke up and that’s always a little sad when I sing that part because it was really one of those great dreams, where while it’s going on you really feel like it’s real, and when I woke up I was kind of like ‘oh, he really is gone. He’s definitely not here anymore.’ It felt sad. Like the song titled “I Feel Alright” in Dancing With Joey Ramone, “I wanna wanna wanna go home” is a made-up song that just fit. And Rigby wanted ‘I wanna wanna wanna go home’ “to sound like a Ramones song, but also I’m singing this to get back to the place where I belonged. The rocking song concludes with a “one, two, three, four” Ramones tribute count-off by Rigby and a guitar mashup. It’s the culmination of a song brought to life by a new guitar, a dream, and a love of New York and the city’s hometown heroes, Tommy, Dee Dee, Johnny, and Joey. The Little Fugitive album with Dancing With Joey Ramone can be purchased at this Bandcamp site. Visit Amy Rigby’s website to purchase Diary of a Mod Housewife, as well as other albums, and to stay up to date on her activities, including the upcoming release of her next album, The Old Guys, on February 23. In between dashing back-and-forth between the speakers, Amy did what everyone did during the classic rock album era. She’d lie on her back and stare at the cover. “Oh my God! Is that their piss? That just seemed so shocking to me,” she remembers thinking. 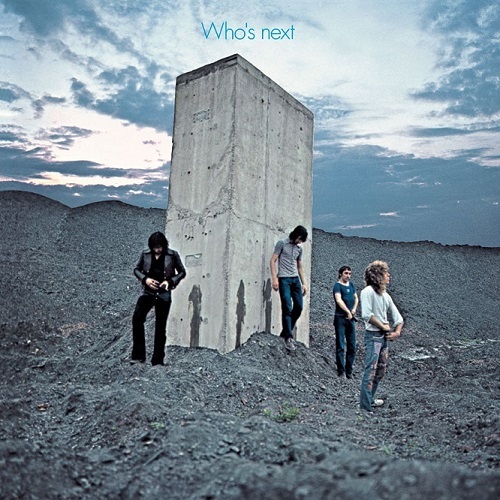 “Maybe more than the music it was that picture on the cover and this male world.